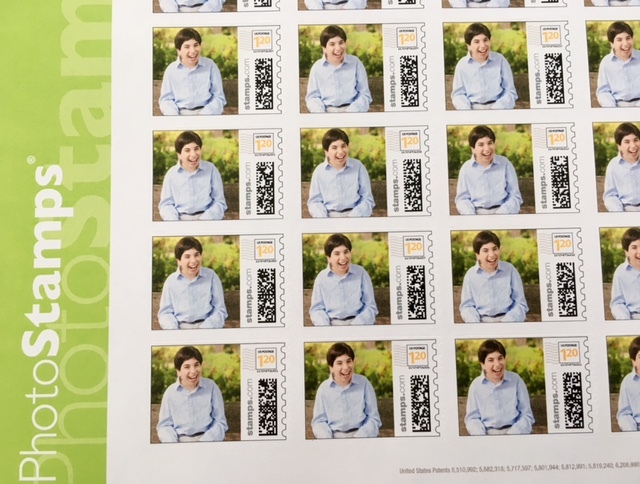 Personalized stamps, for Max's bar mitzvah invites. Mail doesn't get much happier than this. Awesome! I didn't even know personalized stamps existed. Fabulous photo! And with all those international stamps, he can go a lot of places! These are cool! Now I want to make some. When do kids quit being crybabies? What's your favorite baby part?